Terri Blackstock's novel, "Covenant Child," is a gripping, emotional story that will keep you turning the pages all the way to the end. "Amanda’s heart broke as she watched them drive her beloved twins away. She resolved to hope . . . and to fight for them to her last breath. Kara and Lizzie are heiresses to one of the largest fortunes in the country. But when their father dies suddenly, the toddlers are ripped from the arms of Amanda, their loving stepmother, and given to their maternal grandparents, who only want the children’s fortune for themselves. While even the stipend their guardians get for supporting them is squandered, the children are left to raise themselves. Kara and Lizzie grow up believing they are worthless . . . until the day when they learn the truth." Kara and Lizzie grew up having very little and believe they are worthless, when really it is the exact opposite on both accounts. This is how many people see themselves, but really each of us is worth so much and can have have everything through being a child of God. This book is such a great story that is filled with suspense, heartache and promise! My heart went out to these girls and Amanda and I found myself wanting to help them (as if they were real!). Blackstock has written numerous novels and this one is at the top for being the best! This is a great reminder of God's love for each of His children! Katie Ganshert is a new author that is going to make a huge name for herself! 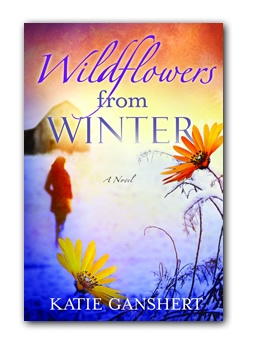 Ganshert's debut novel, "Wildflowers from Winter," is an emotional romance that will have the reader crying, and cheering on the characters. "Like the winter, grief has a season. Life returns with the spring. For Bethany, making peace with her past and the God of her childhood doesn’t seem like the path to freedom. Is letting go the only way to new life, love and a peace that she’s not even sure exists? " I was immediately drawn into the story on the very first page. Bethany reluctantly returns to her homewtown and a quick trip turns into so much more. The baggage that Bethany is struggling with is so real and I dfound myself empathizing with her as she tries to balance who she is now with the girl from the past as well as to find where she belongs at the moment. The tension and sparks between Bethany and Evan continues throughout the story making this not a typical romance story, but real life, day to day romance. This book is a well-written and deeply emotional story that addressed real life issues, relationships and coming to terms with who God is and the role He plays in one's life. I am looking forward to reading Robin's sotry in the next book and hopefully more of the other characters. 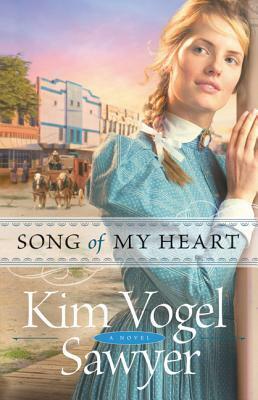 Kim Vogel Sawyer's latest novel, "Song of My Heart," will pull you into the story in the very first chapter, keep you turning the pages and pull at your heartstrings! Devoted to her family, Sadie is willing to do what she must to help out even moving away and taking a job. When this opportunity arises Sadie moves to Goldtree to work for two sisters who run a mercantile. However, another opportunity arises as well allowing Sadie to use her talent of singing. When Sadie must do somethings she was not initially prepared to do, she will as she wants to make every penny she can in order to send to her family to help out. Sadie's jobs and actions are placing her in the midst of an investigation of crimes. Thad is investigating the crimes, and a suspect is stealing his heart in the process; is Sadie who she seems to be or is she putting on a front and going to break his heart in the process? Sawyer's characters are lovable and enjoyable to read about! While reading I was transported to life in Goldtree, Kansas. Thad and Sadie are both doing things they do not necessarily love, but it is ways to make money to help them fulfill their goals, Sadie's being to take care of her family and Thad wanting to become a minister. The interactions between these two characters are fun to read and will have you rooting for them! This is the first book I have read by this author and it is will not be my last! If you enjoy historical fiction, this is a must-read! 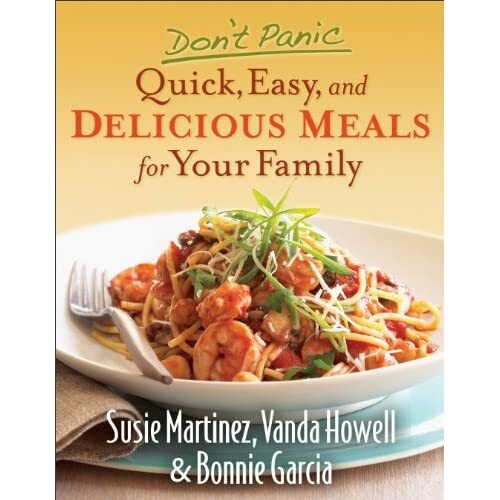 Book Review - "Don't Panic Quick, Easy, and Delicious Meals for Your Family"
Susie Martinez, Vanda Howell, & Bonnie Garcia have teamed up and complied a collection of recipes in their latest book, "Don't Panic Quick, Easy, and Delicious Meals for Your Family." I was pleasantly surprised to discover the wide variety of recipes included in this book! There are appetizers, pasta recipes, slow cooker ones, desserts, breads, breakfast - everything! I made spaghetti the other night for supper and made the "Basic Beef Mix" recipe that is included in this book - it was just as the title says - it was quick, easy and delicious! Something I loved about this recipe though is that when you make this you are really making four meals at once! Using four pounds of ground beef and a handful of other ingredients, you can divide the mixture and freeze for later use! I followed the option for spaghetti and added in tomatoes and grated Parmesan cheese in a quarter of the meat mixture and this was heaped on top of cooked spaghetti making a quick and filling meal. Starting with the "Basic Beef Mix" I could end up with tacos, nachos, enchiladas, burritos, spaghetti or sloppy joes! This cookbook is one that I can see being used often as it is filled with variety and the recipes are all quick and easy! 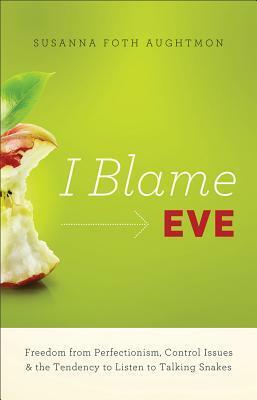 Susanna Foth Aughtmon writes with such honesty and a great amount of humor that you do not want to miss out on her latest book, "I Blame Eve: freedom from perfectionism, control issues & the tendency to listen to talking snakes." We all know the perfect world and perfect humans ended in the Garden of Eden with Eve and Adam. However, that does not stop us from trying to be perfect and present a perfect front to others. I know that I am guilty of this myself. The author shares her own experiences, her struggles, her issues with control and trying to be perfect and feeling overwhelmed and just trying in life itself with the reader. Susanna begins with a list of 40 reasons she wishes Eve had not eaten that piece of forbidden fruit/apple, I found myself laughing and agreeing with her while reading this list! This was a great way to start out the book and pull me into it! You will be encouraged to give up the reins and control that you are desiring and give it all to God and let Him lead us while being happy for who we are! This book also includes a study guide at the end of the book that includes questions. This would make a great small group study with other women. I highly recommend this for any woman; be ready to really think about your own life, grow and laugh out loud! 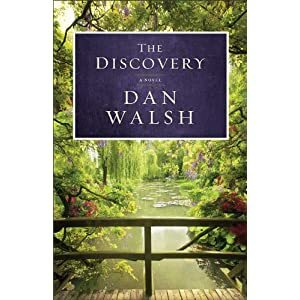 Dan Walsh's latest novel "The Discovery" will immerse you in the present and the past at the same time. Michael inherits some items from his grandfather when he passes, and he discovers an unpublished manuscript that was hidden away. Michael's grandfather sold millions of novels, yet this one he kept hidden away and Michael soons discovers that it is unlike any other than he had written. This is a love story that is filled with spies and suspense and Michael's life will be forever changed after reading this. This book is a must read for Dan Walsh fans! I have read his other 4 books and this one is a keeper as well! I found myself completely engrossed in the two stories going on in this book as well as the characters' lives. The secrets and love in this novel will keep you turning the pages as you are transported to the Charleston estate. 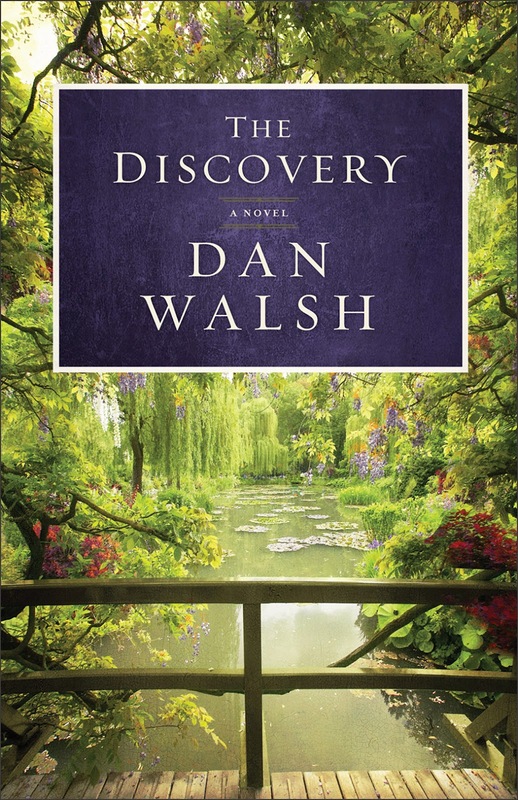 Something else that I love about Dan Walsh's novels are the beautiful covers and this one is my favorite! Sharon J. Dickerson's book, "Jessica and the Tangle Monster," is a must-have book for any little girl who gets tangles in her hair! Jessica wakes up every morning with tangles in her long, beautiful hair. Jessica is a happy girl except when her mother wants to brush her hair; it hurts her, so she will run and hide. When Jessica's Nanna comes to visit, she learns of the tangles in Jessica's hair and teaches Jessica about the tangle monster who comes to play in her hair every night when she's asleep. Nanna pulls a silver hairbrush out of her suitcase and uses it in Jessica's hair and makes a little game out of it. To Jessica's amazement the brush does not hurt her hair! This is an adorable story for each and every little girl! Brushing hair can be a long, miserable event each day and this is a good way to address the "tangle monster" and try different solutions so this is less painful and drawn out! My daughter loves this story and will say, "it's time for the tangle monster to leave!" whenever it's time to brush her hair now! *I received a complimentary copy of "Jessica and the Tangle Monster" as a member of the Dorrance Publishing Book Review Team. Visit dorrancebookstore.com to learn how you can become a member of the Book Review Team. Often we are our own worst enemy, meaning that we put ourselves down and we think the worst of us, that we are not good enough in some particular way. Janet Davis addresses this is her latest book for women, "My Own Worst Enemy: how to stop holding yourself back." The chapters are split into 3 main sections. Section one focuses on "many faces." Perception vs. reality is addresses and really looking at ourselves and thinking about what we do want in life and who we want to be. The second section is "many phases," and the third is "choices along the way." Feeling self-doubt, shame, and worthless are just a few things that are common thoughts that hold each of us back from our true potential as it is can hinder us from taking a step toward something we may enjoy or from letting our light shine as brightly as it can. Davis ties in Biblical examples and also personal experiences to address the different areas and to help each reader stop holding herself back. Each chapter ends with a "your story" section that is personal reflection questions. This is a great book that is thought-provoking and eye opening! Each chapter is a good length, so that it is thorough, but not so long that it is overwhelming or will require a huge amount of time to get through. The questions at the end of the chapters are great as they will really help you to think about your own life, but they would also be great to use in a small group as they would lead to some good discussions. Davis ties in so much in this book and you do not want to miss out! Licensed Counselor, Connie Rae, offers her own personal experience as a mother and also experience through counseling others in her book, "Hope for Parents of Troubled Teens: a practical guide to getting them back on track." Rae begins her book by discussing adolescence in general. All of a sudden your baby is growing up and at a stage of becoming independent and yet still needing guidance from parents although he or she may think that everything is under control. Then the point of needing to know your adolescent child is addressed, and also knowing yourself. Conflict between parents and adolescents and also conflict between parents is addressed as this seems to be common as well when trying to deal with tension and stressful situations. Rae provides guidance, ideas and tips for maintaining one's marriage and remaining strong as a couple and also as parents. It is important for anyone picking up this book to remember that it is not a "quick fix" guide, as soon as this book is read, all of the troubles are going to be gone. Rae is offering guidance, support and encouragement to parents. The style that Rae writes in is non-judgmental and is encouraging. It is always comforting to know that you are not alone dealing with something and someone else has dealt with the same issues in their own lives. I found this book to be a great guide filled with many things to think about before your child has reached adolescence as many things can be done as a preventive measure such as knowing your child's peer group and being an involved parent. This is a good book to read and ponder as parents. "Loviah "Lovie" French owns a small, high-end dress shop on Manhattan's Upper East Side. Renowned for her taste and discretion, Lovie is the one to whom certain women turn when they need "just the thing" for major life events—baptisms and balls, weddings and funerals—or when they just want to dish in the dressing room. Among the people who depend on Lovie's confidence are her two best friends since boarding school: Dinah Wainwright and Avis Metcalf. Outspoken and brimming with confidence, Dinah made a name for herself as a columnist covering the doings of New York's wealthiest and most fabulous. Shy, proper Avis, in many ways Dinah's opposite, rose to prominence in the art world with her quiet manners, hard work, and precise judgment. Despite the deep affection they both feel for Lovie, they have been more or less allergic to each other since a minor incident decades earlier that has been remembered and resented with what will prove to be unimaginable consequences. These uneasy acquaintances become unwillingly bound to each other when Dinah's favorite son and Avis's only daughter fall in love and marry. On the surface, Nick and Grace are the perfect match—a playful, romantic, buoyant, and beautiful pair. But their commitment will be strained by time and change: career setbacks, reckless choices, the birth of a child, jealousies, and rumor. At the center of their orbit is Lovie, who knows everyone's secrets and manages them as wisely as she can. Which is not wisely enough, as things turn out—a fact that will have a shattering effect on all their lives. An astute chronicler of everything that makes us human, Beth Gutcheon delivers her most powerful and emotionally devastating novel to date. Gossip is a tale of intimacy and betrayal, trust and fidelity, friendship, competition, and motherhood that explores the myriad ways we use and abuse "information" about others—be it true, false, or imagined—to sustain, and occasionally destroy, one another." Gossip is such a strong word as it puts off a certain vibe and is sure to lead to great debate. Gossip often is thought of in a negative manner as it is assumed that if gossiping is occuring then it is something that one would not want to say to another's face and what is being said is best not repeated. 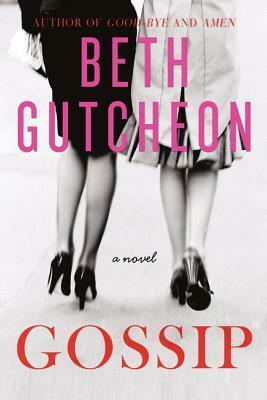 Beth Gutcheon's latest novel, "Gossip" focuses on exactly that - gossip and how gossip affects lives in negative and positive ways. The cover of the book is great and I was intrigued by it and it fits the title so perfectly! Lovie is someone who people come to when they need to talk and she is held in high esteem. Lovie is the main character is the book and it is told from her point of view. I enjoyed Gutcheon's style of writing as I was immediately drawn into the book as I felt as if I were included in the conversations and the plot. Lovie, Dinah and Avis' relationships and interactions with each other were entertaining and enlightening at the same time and realistic. I felt like I was a part of this trio as they were brought to life in the story. Everything has been far from smooth in these women's lives and yet circumstances bring them together and yet also tear them apart as is common in real life. This book is thought-provoking and will make you think about your own relationships and the dynamics of the relationships as well as the impact of gossip in each of our lives. I just love the whole thought of grilling, I love the smell of food cooking on the grill and how foods taste when they are grilled. However, I have personally not really used a grill too much. Therefore, I was thrilled to receive a copy of Jennifer Chandler's "Simply Grilling!" Not only is this cookbook filled with recipes and beautiful illustrations of each recipe, but it also has tips for grilling in general and she does not assume that you are a grilling expert, but someone who needs guidance, which I need! With the weather getting warmer, it is getting to be the time of the year when grills are fired up and after looking thumbing through this book, I am excited for grilling weather. Not only am I excited to try out some of the meat recipes, but also some sides and desserts including "Smoky Steak Fries" and "Chocolate-Hazelnut Banana Panini" as these both sound and look delicious! If your grilling repertoire is limited to burgers and hot dogs, it might be time to reconsider your grill’s true potential. Think beyond that typical backyard menu, and imagine serving up a platter of skewered Caribbean Grilled Shrimp with Pineapple Salsa or a Balsamic Beef Tenderloin alongside an Asparagus and Cherry Tomato Salad. Memphis chef Jennifer Chandler has assembled everything a grilling amateur could possibly need to achieve pitmaster caliber results any night of the week. Whether you’re cooking with gas, charcoal, or cast iron, Simply Grilling will eliminate the uncertainty and have you manning the flames with confidence. In her accessible style, Chandler explains everything—the tools, the heat, and the flavors. If you’ve always found grilling to be a guessing game, you’ll never have to wonder again if the heat is just right or if you flipped your food too soon. From appetizers to desserts and everything in between, Simply Grilling is your guide to delicious meals, hot off the grate. 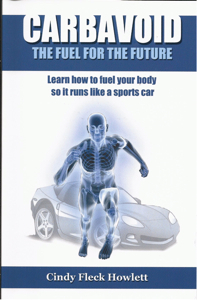 If you are looking for a cute guide to eating right and fueling your body and keeping it running right that is excellent for children and adults, then pick up a copy of Cindy Fleck Howlett's book, "Carbavoid The Fuel for the Future: learn how to fuel your body so it runs like a sports car!" Being with a chapter of discussing out our bodies are similar to cars, you will be drawn right into the book! Then each chapter focuses on a specific aspect, for example, the fuel or the engine. There are many different types of food or fuel for our bodies; however our body will respond differently to the different types that we eat. For example, there are good carbohydrates and bad carbohydrates. Each section of this book is short and very simply described so that children will be able to understand what is being shared, but also it is applicable to older individuals as well and are great reminders. Everything is brought together at the end in a chapter called "The Perfect Blend" which will help each person find just that perfect blend for his or her individual body. This is a great book to introduce someone to eating healthy and making good food choices or as a resource to help explain nuturiton or as a reminder for those of us who have learned proper nutrition. Marsha Sramek has created a little treasure for writers of any kind and at every level! "The Great Grammar Book: matering grammar usage and the essentials of composition" is not just another book that is filled with tips and strategies that is a tad boring overall to read and use. This book is filled with a tips, rules and witty facts that will keep you turning the pages and also increasing your knowledge. The book begins with a test and this will help point out areas that need improvement and where to focus the most in the book! The chapter is split into several chapters, making it very user-friendly as what you can easily find what you have a question about. This is a great tool that will be used frequently and with ease!